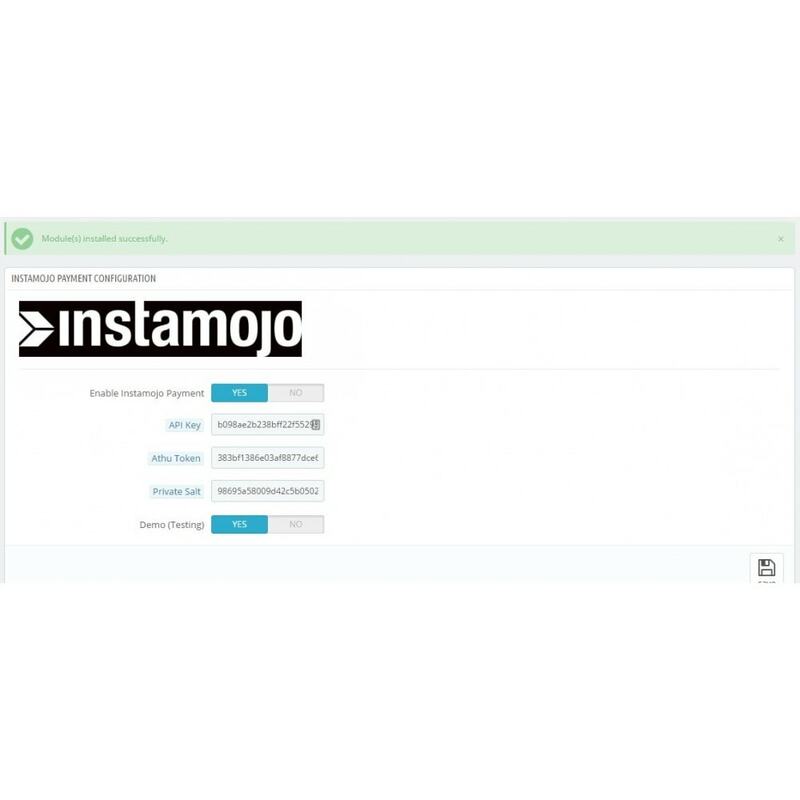 This InstaMojo module offers a payment gateway connexion. Merchants can accept and manage online payments across mobile & web with unified APIs. This is an "out of the box" module for InstaMojo service. No physical documents required. Collect your first payment in 3 minutes. Rich App Store - To help you boost your business & sales even more. Bank-level Security - 128-bit SSL encryption. Payments processed on PCI-DSS compliant servers. Accept & manage online payments across mobile & web with unified APIs. Collect payments on WhatsApp, Instagram, FB and more. Just share InstaMojo payment link and get done. It's magic! 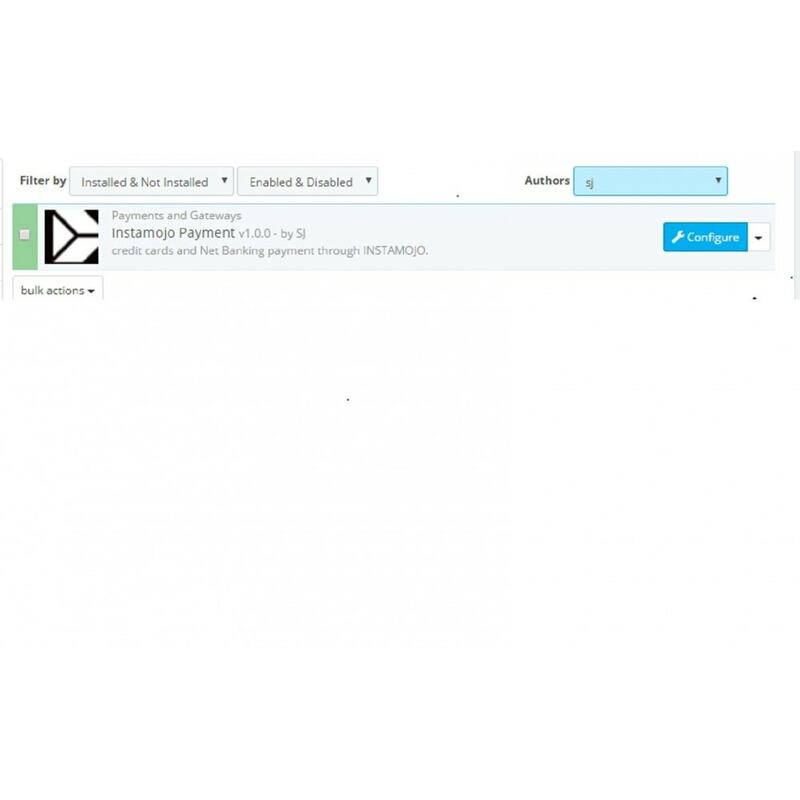 Add customer data to a Google Spreadsheet. Make a full fledged mobile app. A bulk uploader desktop app. A push notification system for your sales. Your customers can make payments across mobile & web with unified platfroms. 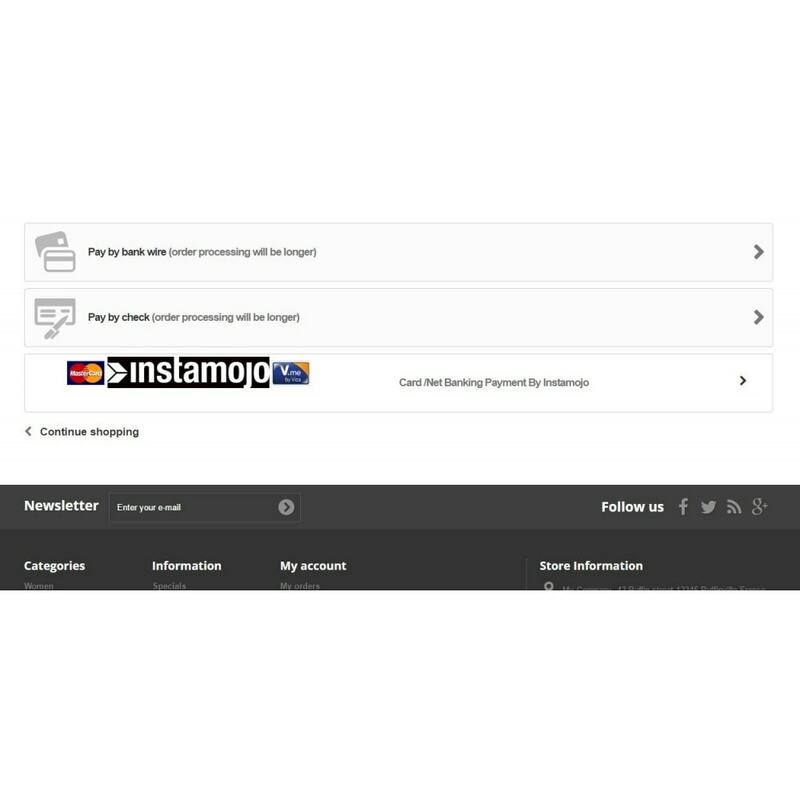 InstaMojo offers one of the best integrated platforms.